October 2017: We are pleased to announce that our distribution partners MAGIX Software will now handle all English language sales & support for our award winning desktop titles, so clicking on the Buy links below will take you to the MAGIX shop. Here at Xara we will focus on Xara Cloud, our collaborative content creation platform. Xara Cloud is an ultra-simple way to view, edit and update the content of your Xara website or document using a web browser on any computer or tablet (including a Mac, iPad, Android tablet or Chromebook), from anywhere in the world, and to re-publish or save it. What's more, Xara Cloud includes a growing number of templates that you can open, edit and publish (or save to PDF) such as social media headings, presentations, flyers, product sheets, e-books and web banners - without even using the desktop software! Xara Cloud also gives you the ability to work on documents in collaboration with friends, colleagues and clients. 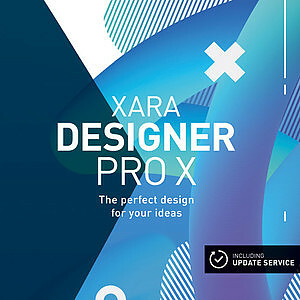 Xara Designer Pro X is our top of the range product and includes all the features and templates of Web Designer Premium, Photo & Graphic Designer and Page & Layout Designer in a fully integrated single package solution for all your graphic design needs, for print and the web. Illustration, photo editing, DTP and document creation, web graphics and websites - Designer Pro X does it all! 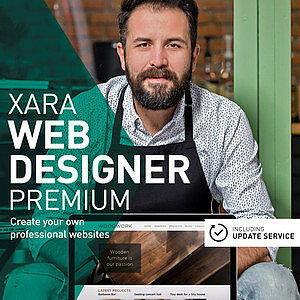 Xara Web Designer Premium offers all the features and templates of Web Designer, plus it adds extra features aimed at professional and commercial web designers including sticky objects and stretching backgrounds, Supersites, Flash animation, extra Widgets for e-commerce, photo slideshows and others, support for online presentations, and additional graphic design tools. 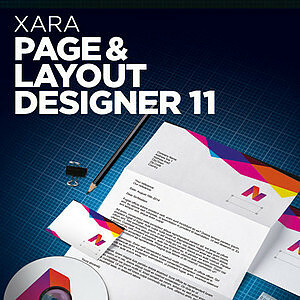 Page & Layout Designer combines all the text and page layout features of typical word processor & DTP software with the image editing power of Xara's award winning illustration & photo editing tools, to produce a fully integrated, flexible & powerful 'Document Processor'. 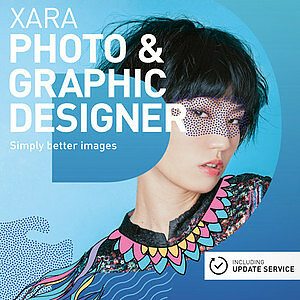 Xara Photo & Graphic Designer is the perfect choice for all your photo editing and graphic design work, with powerful photo editing and enhancement features, and truly flexible illustration and design tools. 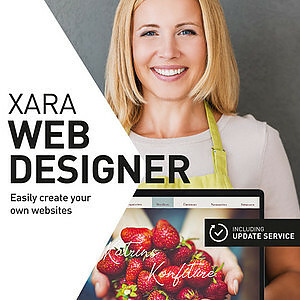 Xara Web Designer is unlike any web design software you will have seen before; an easy template based solution that gives you total page design freedom, no HTML skills required. It offers comprehensive WYSIWYG web graphic, web page and website creation features. 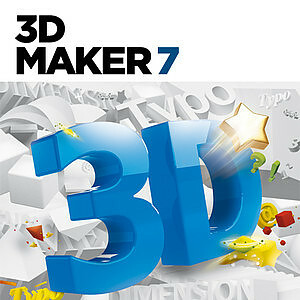 Xara 3D Maker is the Number 1 tool for creating stunning, professional-quality 3D web graphics. Ideal for both still and animated 3D headings and titles, logos and buttons, perfect for web pages, mailshots, movies and online presentations. Xara Cloud works in the browser which means you can use any device, including Macs, iPads, Chromebooks and other tablets!